Medellin's two big football clubs are Atletico Nacional and Deportivo Independiente Medellin. 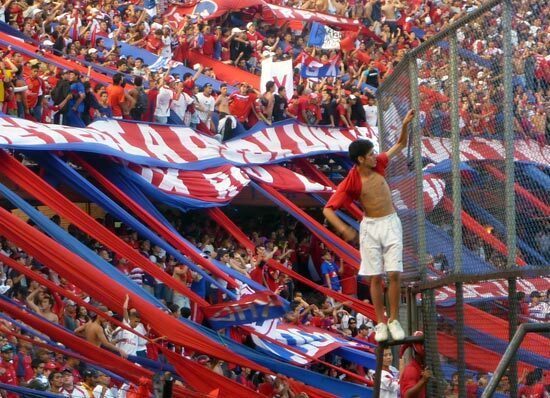 Nacional have the bigger following and a larger trophy cabinet: they proudly (others would say arrogantly) call themselves the 'Rey de Copas' (king of cups) due to thier large haul of domestic championships and the 1989 victory of the prestigious Copa Libertadores (South America's version of the European Cup). Atletico Nacional were the first Colombian winners of the Copa Libertadores in 1989. The only other Colombian side to win the trophy are Once Caldas (2004). 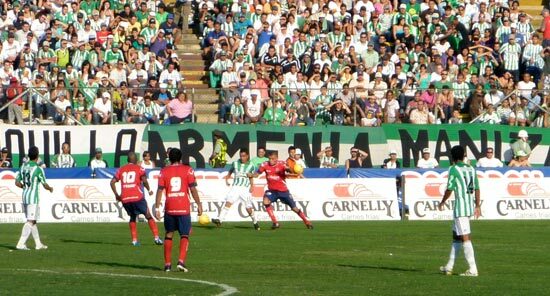 During the 1990s, Atletico Nacional had a policy of signing only Colombian players, and with an emphasis on home-town 'Paisa' players. The team was hugely successful and much of the Colombian national football team consisted of players from Nacional. 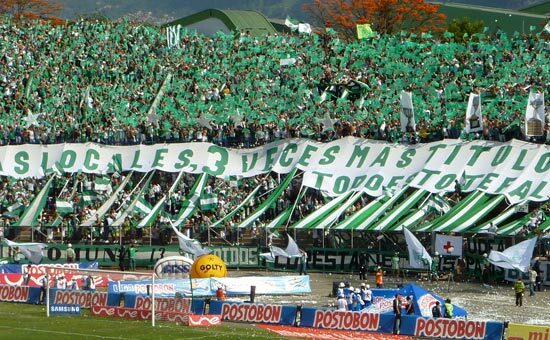 As a result Nacional has a massive following, not just in Medellin, but around the country and enjoy a large away support at most games. Atletico Nacional play in a green and white striped kit, based on the colours of the Antioquia flag. (Deportivo Independiente) Medellin have a more modest history, but have claimed a couple of championships in recent years (including in 2004 over arch-rivals Atletico Nacional). Deportivo Independiente Medellin (or DIM) are commonly known as 'El Poderoso' (The Powerful) and 'El Rojo de la montaña' (The Red of the Mountain). Medellin play in red shirts and blue shorts, and have a big support, although not as big as their rivals Nacional. They pride themselves on being the oldest professional football club in Colombia having been founded in 2013. Both teams play their home games at the Atanasio Giradot stadium (Estadio station, Metro line B) which has a capacity of around 45,000 spectators. As well as being used for sport in Medellin, it also hosts large concerts including that of Madonna in 2012. Read my complete guide to Colombian football stadiums. Clasico (derby) day is an awesome spectacle. Many Paisas will tell you to avoid the stadium when clasicos are being played. However it's not as dangerous as they would have you believe and if you sit in the pricier parts of the stadium, wear a neutral coloured shirt (white usually does the trick) and refrain from throwing flares at opposing fans you'll almost certainly be fine! Envigado Football Club, situated just outside the metropolitan area of Medellin, have a small but loyal following. They play their matches at the small Polideportivo Sur stadium. Itagui Football Club are another of Medellin's smaller teams. They are nicknamed the 'Aguilas Doradas' (the Golden Eagles) and play their games at the Metropolitano Ciudad de Itagüí stadium south of Medellin. Find out more by reading my full guide to Colombian Soccer including the league format and the history of the beautiful game in Colombia. In March/April 2010 Medellin held the Juegos Suramericanos (South American Games). This was a huge coup for sport in Medellin and the games were a resounding success. Colombia even topped the medals table for the first time in the games' history. Skating and Cycling are very popular in Medellin. On Sundays, the city closes down huges sections of major roads and allows people to cycle, skate and jog along them. These are known as 'Ciclovias' (Cycle Lanes) and are incredibly popular. This passion for cycling has produced results on the international stage with Mariana Pajon winning the gold medal at the 2012 London Olympics. Return to the Medellin page for information on other attractions.